Pain killers spilling from bottle on dark table. 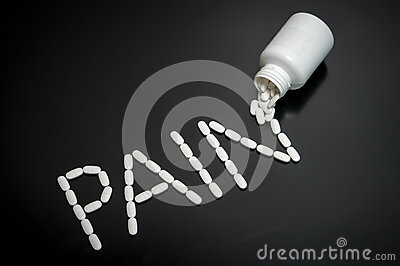 The word pain written with medicine coming out from package. Writing made with medical products. Being in a lot of pain, suffering or relief concept.